Lilley plasterers are a family run business The director Steve Lilley has been has been trading for 27 years and are reknown for their workmenship and high service of customer service. The company's tradesmen are highly skilled and experienced in all areas of the plastering indusdry from skimming walls outside rendering to laying grit floors. 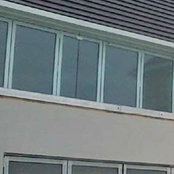 Having worked mainly from recomendations and local builders their reputation has seen them travelling as far as Wales what ever the job big or small Steve will come out and give you a free no obligation quote via e-mail, written or phone call. You will be guaranteed to get a high quality, tidy and friendly service. You will find previous customers and builders comments on Check a trade.